This morning, Fullerton-based iChange (www.ichange.com) is announcing that it has raised a round of funding, and has appointed Stuart MacFarlane as its CEO. 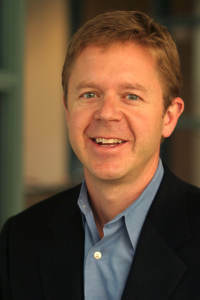 Stuart is a Managing Director at Momentum Venture Partners, and former CEO of Insider Pages. Momentum is also the source of the new funding. Momentum Ventures is a firm which has been very active providing management expertise in Southern California, helping promising technology firms. We spoke with Stuart about the funding deal and new position. Stuart, thanks for the interview. What's iChange all about? Stuart MacFarlane: The philosophy behind iChange is that there are limited resources online to get professional help, when it comes to real medical issues. The concept that we built iChange around, was that we could use technology to help connect people with subject matter experts. And, equally important, with support groups to help make changes in their lives. The primary thesis and concept is around getting expert advice, support, and accountability. Are there any specific medical conditions you're covering? Stuart MacFarlane: It's around multiple pipelines. They all fall under the concept of change, with a real focus on medical issues. We built a platform to manage multiple verticals, the first around nutrition and weight loss. But, the concept is that we can take the same platform, and extend it to other areas. We haven't done so yet, but we're thinking about addition recovery, disease management for things like diabetes, and other types of counseling. We've started with nutrition and weight loss, and it's really our test vertical. That vertical in itself we could spend quite a bit of time growing within. What specifically about this vertical business interested you? Stuart MacFarlane: On the macro level, digital health is becoming a reality. We've been watching the trends and availability of medical information online, and we're now at a point there's widespread connectivity of devices and the ability to input your medical information online--however, there seems to still be a real gap in getting personal support and advice online. We see the weight loss area as a huge market. It's a $58 billion market. That was the macro trend, and we were more specifically looking at the kinds of communities which are forming and how people are getting support. There are numerous weight and nutrition discussions online, and it's very clear there are millions of people out there looking for support. We though through iChange we could create a better support network for those people. There are lots of online communities and noise, how do you hope to stand out among the crowd? Stuart MacFarlane: One, is we are leveraging other communities. Part of the plan which we are already doing, is working on top of existing social networks like Facebook. We can leverage the social graph already in place. The primary difference in what iChange is offering, is access to real experts, for weight loss and nutrition you can work with a certified nutritionist or registered dietician, to get real, expert level help to make changes in your life. iChange is more than a place with someone is standing by at a call center to do Q&A, it's a place where a nutritionist can come in, create a meal plan, and who can track you very closely to make sure you are succeeding in your weight loss efforts. Secondarily, we've created a set of tools which makes it very easy to communicate with experts and each other around the subject of weight loss, specifically. We're forming these mini-communities of iChange individuals, who have a shared desire to lose weight, and to share information among themselves. Through our tools, we've made that easy to do. For example, reporting to each other each time they make some process in their nutrition goals, there are tools to update people connected to support groups, about what they're eating and what activities they're doing. We've also got tools that help other people that are connected to them understand how others are feeling, and what craving they might be having. There's a whole set of things we enable that takes lots of the friction out of communications around the subjects of nutrition and weight loss, which has allowed the community so far to blossom. Stuart MacFarlane: The primary business model has been to let people upgrade to a premium program, where they can work with nutritionists. The model right now is truly freemium--anyone can join, and they can get some limited access to experts on iChange, access to the community tools on iChange, and those who so choose can join up with nutritionist. We have two flavors of programs. One is a group program, where you can join a group of around 10 people, and get a meal plan and weight loss program from a nutritionist. That nutritionist then works with the entire group together online, and helps they stay on track with the program. Those programs are terrific, because it's a place where support groups are fostered, and a place where strangers meet who have never known each other but get attached to the program, the nutritionist, shared goals, and create a really wonderful support group online. Those programs are $19.00 a month to join. We also have a higher level, premium program, which is a one-on-one with a nutritionist, where the nutritionist gives the individual a specific meal plan based on their needs, and checks in on them online and constantly stays on tpo of them to see that they're succeeding. That's $99.00 a month. Normally, with a nutritionist, the experience for the individual is they drive every Tuesday to a local strip mall, where a nutritionist meets with them for 15 minutes and gives them an update, they get guidance, and they're gone. It's frustrating, both for the individual and the nutritionist, where there are two weeks between where things can fall apart. In our model, the benefit for the individual is it's an almost 24/7 type experience, where they not only are getting guidance and information, but there's someone there for them to answer question. An example, is we've seen where a nutritionist has gotten a text message from a client that they were going to lunch, and what they should eat at a Mexican restaurant, and the nutritionist got back right away with the answer--which is so important if you're trying to stay on a weight loss plan. Theres also the concept of accountability. You might let yourself slide, but it's much hard if you're part of something where you end up disappointing other people. We look at the concept of other people keeping them on track and accountable.